It's a small, low tables and a few chairs kinda cafe tucked in one of the alleys off Jodhpur Park. They're saying it's first of its sort, but do you care for the label if you can help a bunch of teenagers in their brave feat to earn a living when society still rejects them for being HIV+? Cafe Positive in Jodhpur Park has none of the fancy servings of the many popular cafes you frequent in Kolkata. What it has though is a simple fare of good freshly-made food and coffee and a story of incredible strength that may help clear some of the ignorance around HIV. Cafe Positive is run by a bunch of ten youngsters who have all, at some point in life, been rejected by their families after being tested HIV+. With the help of the NGO Offer (which has provided for their shelter, food and has also trained them in vocational skills), these teenagers have opened this cafe to fend for a living. Warm and welcoming, these youngsters will smile and serve you. If you dig a bit, they will also tell you about the multiple closed doors they faced while trying to look for a space for this cafe. Their freshly baked muffins and sandwiches are a tasty fill, and you'll be surprised to know that they make them every day at the bakery in Baruipur. 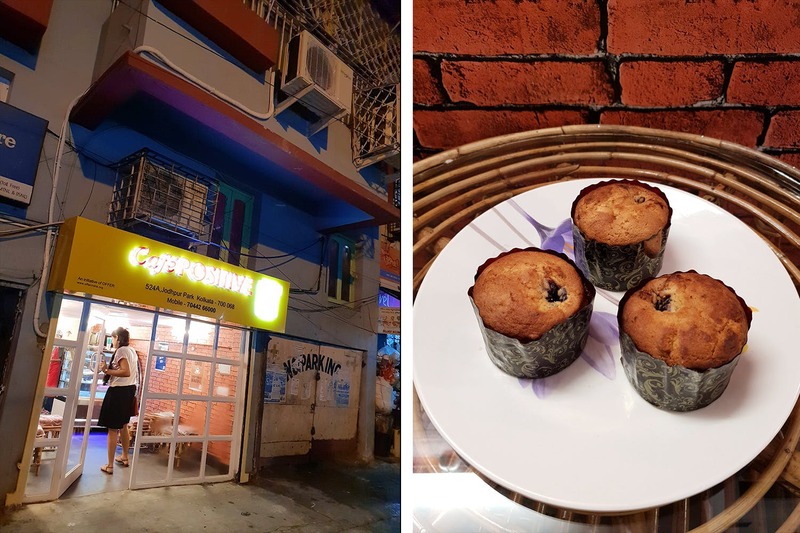 Here's the other thing that you'll miss in most of other cafes, they are a completely eco-friendly space that uses upcycled betel leaf plates and recyclable wooden crockery to serve their guests. A small little cafe located inside an alley, it is easy to not spot this one unless you ask around in the Jodhpur Park Market area. The cafe has no street markers to help people get to it. There's no place for parking around here because the alley is near a market and is also rather tiny. So leave your car behind.